Bear, thank you. I received my personal postcard more than several days ago now and then in today's mail I received a packet of cards to send out via Postcrossing. I will get them ready over the weekend. Thank you for both mailings. My mail lady sure had a load today. 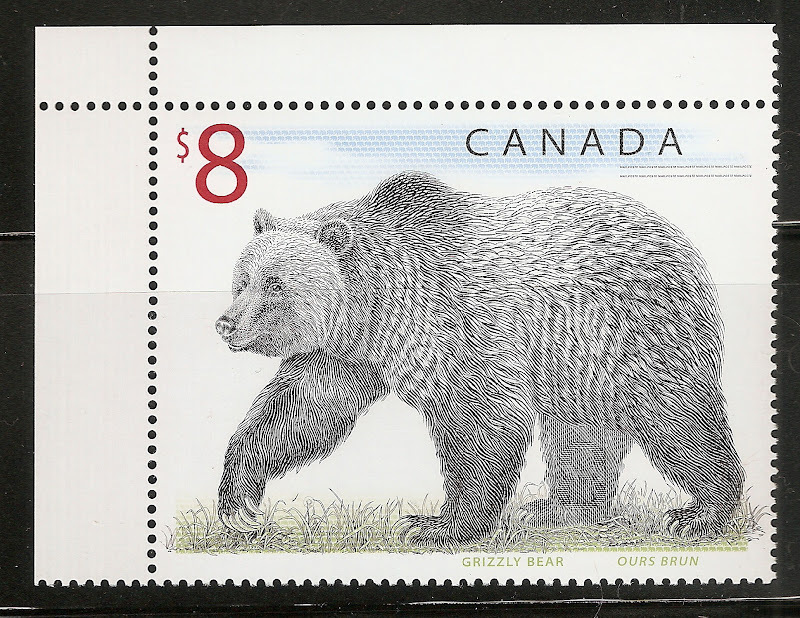 The handful (plus) Stamp Bears postcards were crammed into my mailbox out alongside the trail. I'll be putting them into some use here shortly. Thanx. I received the post cards today. Thanks!!! You are the man!!! samb - sorry for the delay. your card is getting dropped of in the morning.. it is the last one i have available!! I still need a number of these for the stamp shop here in Toronto that agreed to have some in their store. Haven't got here yet. Will keep an eye out for them. Received the lovely postcards today - TYVM! I have sent some out, hope they will do the job. If not, I musta mailed them to blind people! hey RossTO did they make it yet? I have not received any post cards. I did receive some envelopes of stamps from you earlier this month though. hmmmmm that ticks me off i sent them with everyone else's.. dag nab it!!! when (IF) i make another order you are first on the list. kinda pixxin' me off man..
Bear. Can I order these myself or any other member? i am just not able too for the foreseeable future. Bear, can you give an update on these postcards. Since I have joined the Stamp Club in New Orleans, I would like to hand some out there and the upcoming show in January. If you have a sight to order these from, please forward that to me. these had been ordered and mailed out quite some time ago. I had forgotten all about them until I saw this thread bounce back up. Let me see if I can find the ordering information again. I think it was Vista print for the professional ones and we had a PDF of ones we made for folks to hand out. If you have the pdf file, that would be super. I can print them off and pass them out during our stamp show. wow that was a pain to find!!! it will not load here I will email it to you..